KitchenAid. It's the one and only - the ultimate chef's aid. Not a chef? That doesn't matter! KitchenAid appliances will slip in to your kitchen as though they have always been there, and suddenly all of your previously time-consuming kitchen preparation tasks will become a thing of the past. Whether it's a blender, a mixer or a food processor, KitchenAid will blow you away. And speaking of being blown away, few appliances in the kitchen world are as archetypal as KitchenAid's range of stand mixers. In fact, the company's name is just about interchangeable with these kitchen machines. But never before have they looked so.professional. The Pro Line KSM7581 Bowl-Lift Stand Mixer has been created with the most powerful KitchenAid motor to date, providing plenty of strength for mixing difficult batters in the whopping 6.9 litre working bowl. 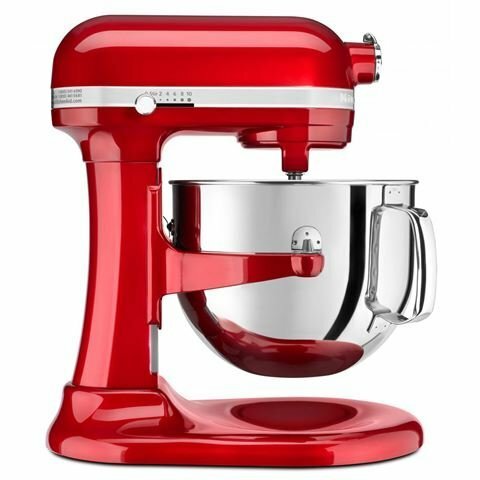 The KitchenAid KSM7581 Mixer was added to the Blenders & Mixers category in October 2018. 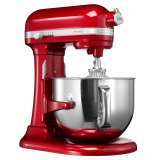 The lowest price GetPrice has found for the KitchenAid KSM7581 Mixer in Australia is $888.00 from Appliances Online. Other merchants who stock it are Appliances Online, Harvey Norman, Kitchen Warehouse, David Jones , Billy Guyatts, House.